Softwash Exterior Cleaning, Rockford, IL. The dirt and dust buildup on the exterior of your home can create a dirty and ugly look. However, the problem is often much more than the dirt and dust. A moss, lichen or fungal problem often cause staining or areas of growth on your home. It is a sign of a significant problem, and pressure washing the surface cannot remedy the situation. It will get rid of the growth from the surface temporarily, allow future growth. Further, pressure washing can cause significant damage to your siding and roof and is a short-term solution for removing mold and algae and any other growth on the exterior of your home. 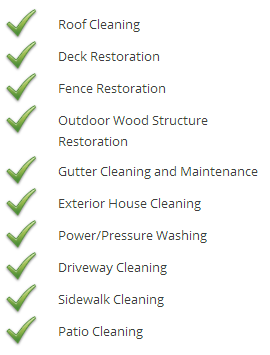 Softwash exterior cleaning, Rockford, IL is the best way to go! RPW ProWash uses SoftWash Systems that clean the exterior of your home gently and treat the surface to prevent growth from returning. Our professional cleaners use specially formulated SoftWash solution to dissolve bacteria, mildew, dirt and grime, and guarantees much longer lasting results than pressure washing. The normal water pressure used for Softwash exterior cleaning, Rockford, IL is safer for your home. It is similar to the one that comes from a garden hose. Therefore, SoftWashing uses significantly less water than pressure washing. SoftWashing is an advanced, safe way to get rid of algae, moss, bacteria, and mildew that’s growing on the exterior of your home effectively. 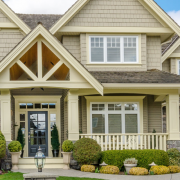 It is the best technique to clean the exterior of your home. 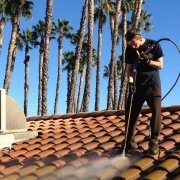 Unlike pressure washing, SoftWashing does not cause any damage to the exterior of your property. It is safe! The low-pressure cleaning system used for SoftWashing is non-abrasive and eco-friendly while being very effective. 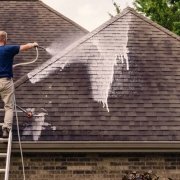 Rockford SoftWash exterior cleaning removes stains that living organisms cause on your siding or roof, and prevents the growth from recurring for a much longer period than pressure washing. Softwashing is a three-in-one process that kills the fungal pests, removes the growth from the surface, and treats the surface to prevent future growth. 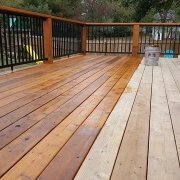 Softwashing provides more benefits than power washing. This greener alternative is more effective as it produces less waste. Softwashing uses non-hazardous, biodegradable chemicals, requires significantly less water and doesn’t damage building materials, minimizing waste. 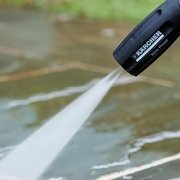 Unlike power washing, SoftWashing is a safe and effective exterior cleaning technique that won’t damage your home. It uses a special biodegradable cleaning solution to kill algae, mold, and mildew. Softwashing can clean nearly all types of exterior surfaces whether it’s stucco, brick, cedar shakes, aluminum, vinyl, concrete, composite, wood decks, and roofs. It’s non-abrasive and safe. Softwashing uses low pressure and specialized solutions (usually water, bleach, and a surfactant if necessary) to remove algae, bacteria, mildew and other organic stains from the roofs and other building exteriors. The name differentiates the technique from power washing. The detergent assisted washing, or low-pressure bleach that the Asphalt Roofing Manufacturers Association recommends for cleaning asphalt roofs help to prevent damage to the shingles. Softwashing involves the use of an electric agricultural sprayer to apply a water-based, biodegradable disinfecting cleaning solution to kill algae, mold, moss, mildew, fungus, bacteria and more on the exterior of your home. 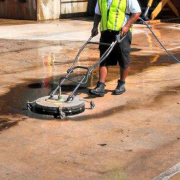 Softwashing equipment is distinctly different from pressure and power washing equipment. It has an electric diaphragm pump that applies the cleaning solution at 40-80 PSI. The softwashing equipment may come with telescoping handles that ensure the cleaning solution reaches the upper story windows, roof eaves, and other such areas easily, without added pressure. RPW ProWash offers effective, safe and affordable SoftWash exterior cleaning service, Rockford, IL. 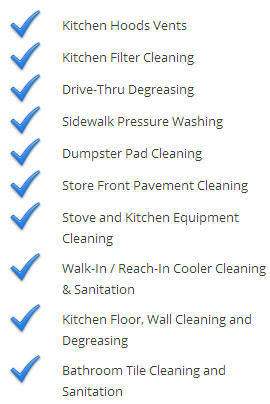 Call us today at (779) 348-3135 or fill out our contact form to schedule your cleaning.